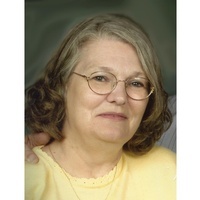 Jennean Lee Warren, age 67, Joplin, passed away on Tuesday, December 19, 2017 at Freeman West Hospital. Jennean was born December 20, 1949 in Joplin, daughter of the late Marion E. Hollaway and Betty Lee Poteet Hollaway. She graduated from Joplin High School, and has lived here most of her life. She loved to travel, and for years enjoyed spending time with her husband on the road, and more recently she enjoyed spending time traveling with her children and grandchildren. In addition to her parents, Jennean was preceded in death by husband, Robert “Bob” Warren who passed away on December 7, 2009, and a son, Robert ” Bobby” Warren who died December 25, 2013. Survivors include her children, Jeff Warren and wife Christy, Michelle Evans and husband Chris, and Erin Warren; grandchildren, Samantha Warren Tyree and husband Stewart, Brandon Warren, Lexi Evans, Bailee Evans, and Gabriel Evans; great-granddaughter, Payton Tyree: sister, Vicki Versdahl and husband David of Seattle, Washington; several nieces and nephews. Funeral services will be Friday, December 22, 2017 at 2:00 p.m. in Parker Mortuary Chapel with Rev. Jeff D. Martin officiating. Interment will follow in Ozark Memorial Park Cemetery with Jeff Warren, Chris Evans, Brandon Warren, and Stewart Tyree serving as pallbearers, and Gabriel Evans serving as an honorary pallbearer.